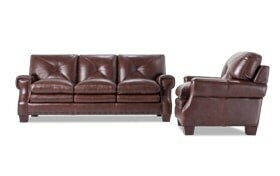 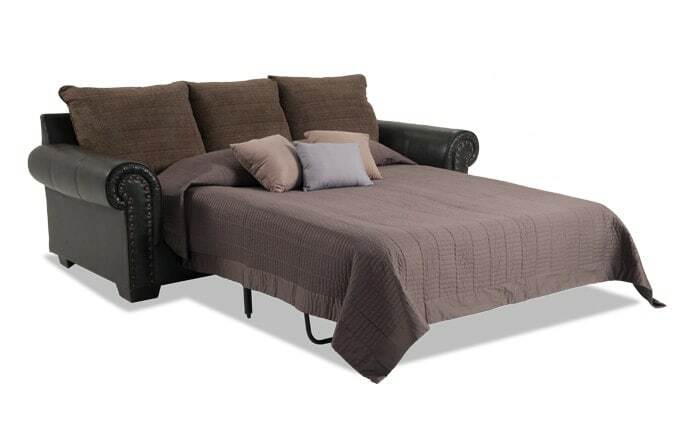 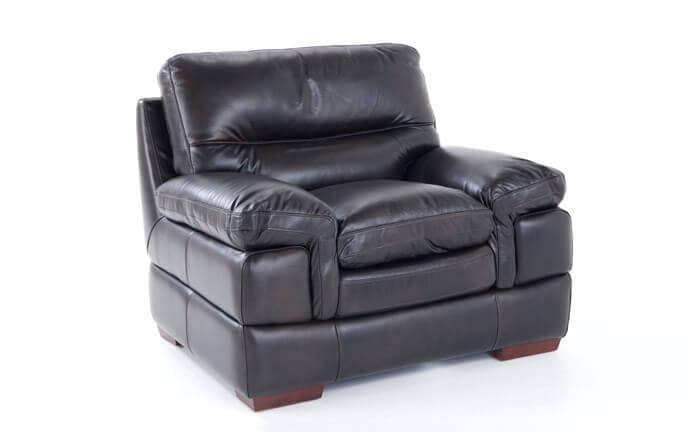 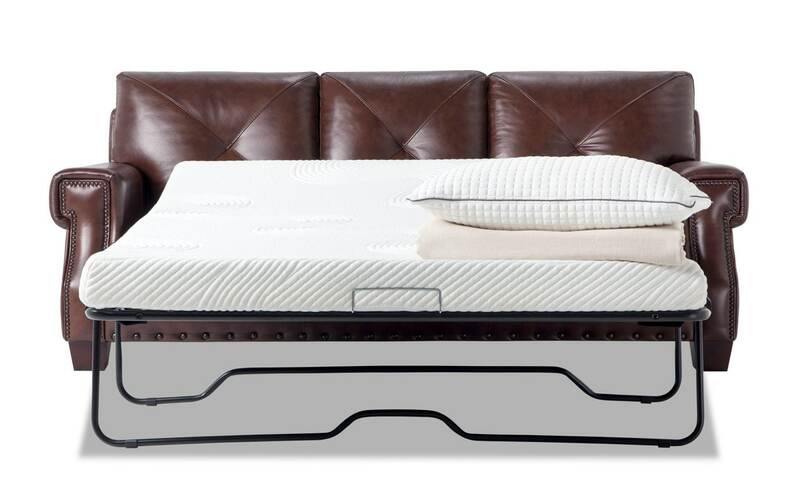 My Kennedy Leather Bob-O-Pedic Gel Queen Sleeper & Chair has traditional style, tremendous comfort, and tons of value! 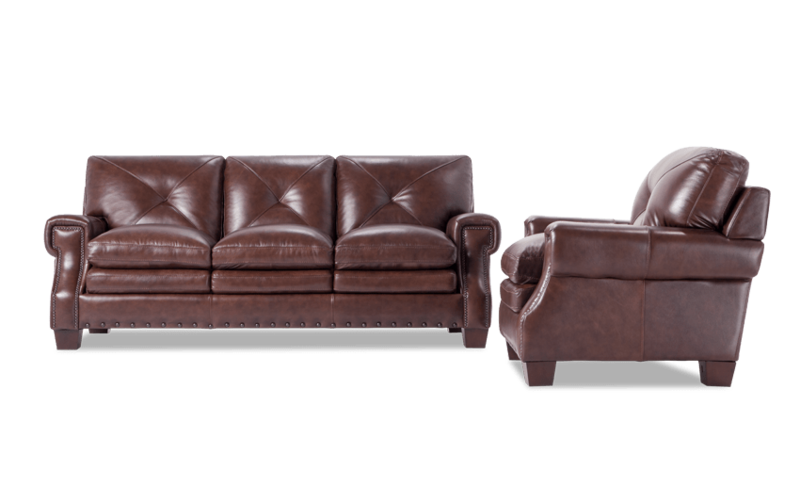 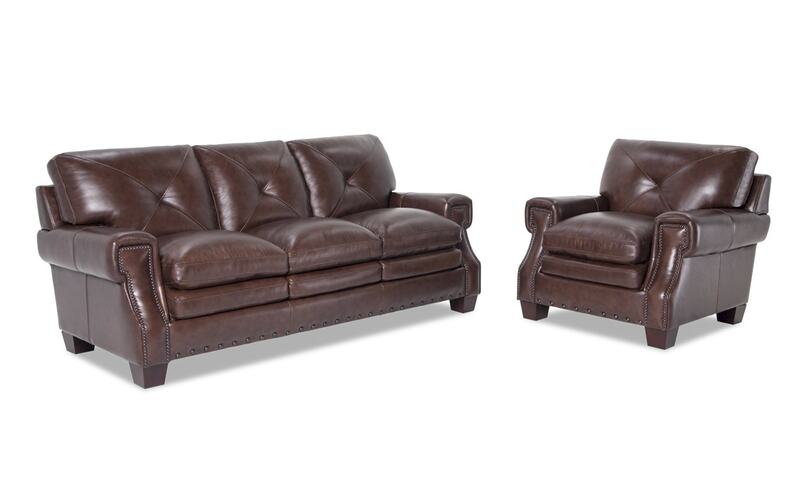 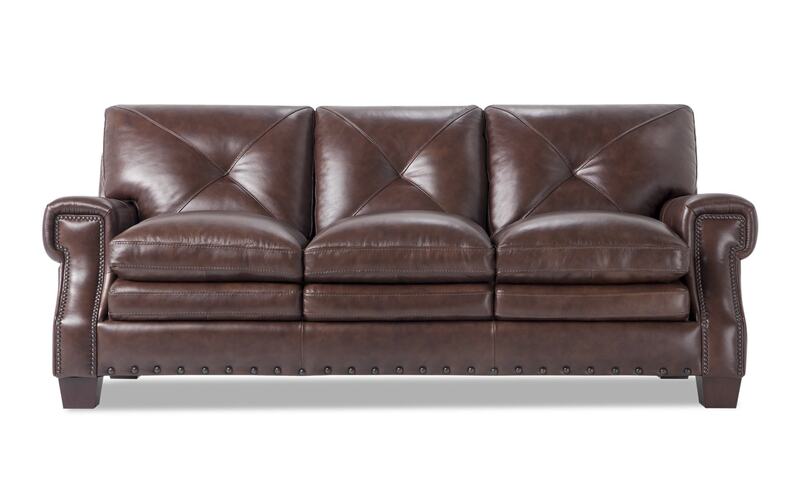 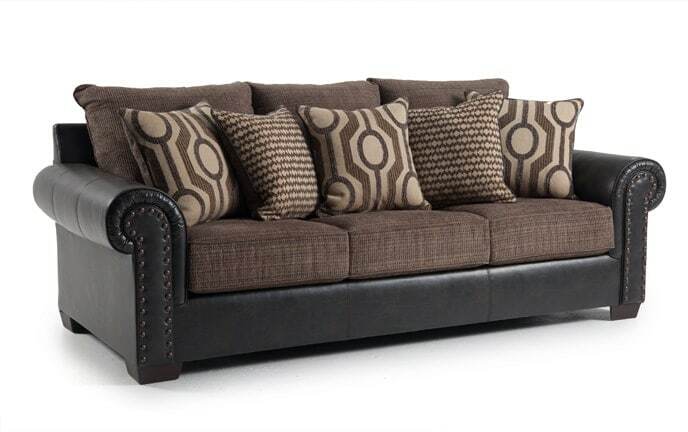 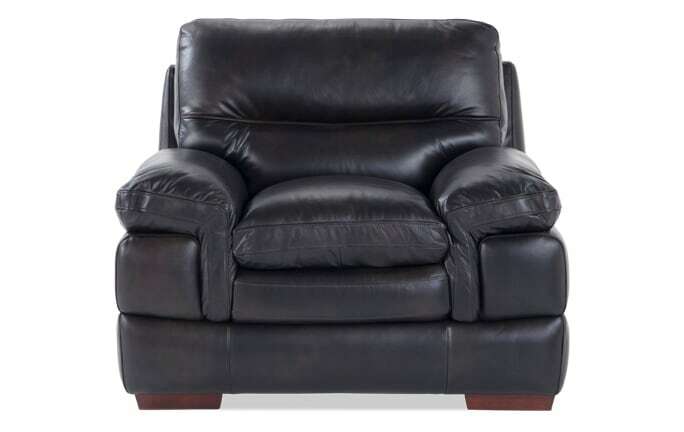 Made of 100% top grain leather with splits sides and back. 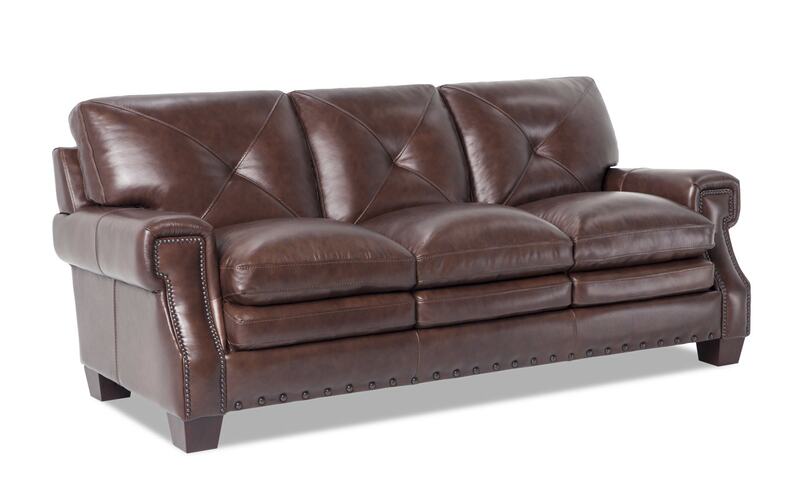 This very inviting sleeper sofa and chair also features hand driven nailhead detailing and a transitional key arm style. 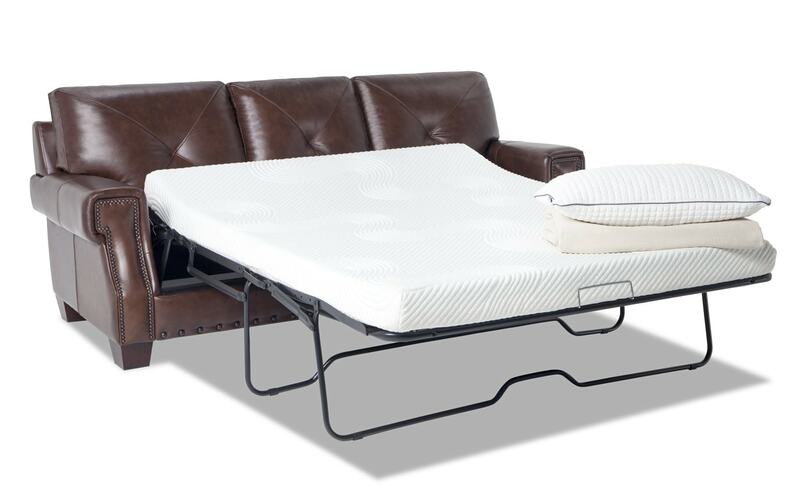 Plus, the pillowtop seat cushions make for extra comfy lounging. 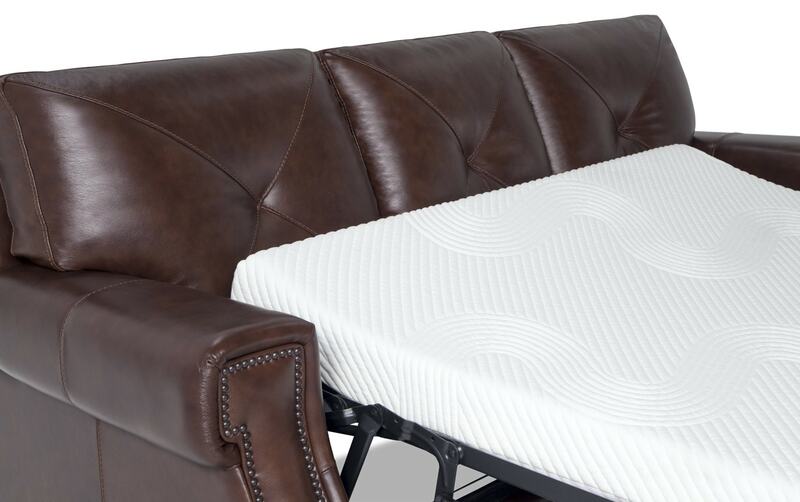 Obviously, the Bob-O-Pedic Gel Memory Foam mattress for your guests is clearly an added bonus!